Pastor Karl's Blog: The Resurrection: Fact or Fiction? The Resurrection: Fact or Fiction? commercial jet was flown into each of the buildings. Today, however, there are many people who deny that is what happened. YouTube is filled with videos that begin with the statement, "There is no way that a jet plane could have caused the WTC to collapse." The videos then go on to describe theories about what really happened. If it couldn't have been airplanes, what was it? Missiles? Hidden explosives? These types of videos point out the importance of the assumptions that we start with when we begin to look at history. What does it take to prove that an event occurred? What is possible? It is important to remember that in dealing with history we are not dealing with science as is typically understood. Science can be defined as a "systematic enterprise that builds and organises knowledge in the form of testable explanations and predictions about the universe." Science may be able to give us a ideas about what could have happened, but it can never prove that something happened historically. The past cannot be put into a laboratory. Instead, historians look at that facts and develop theories about what happened that best account for the facts. Science may be able to help define what could have happened, but cannot definitively tell us what happened. 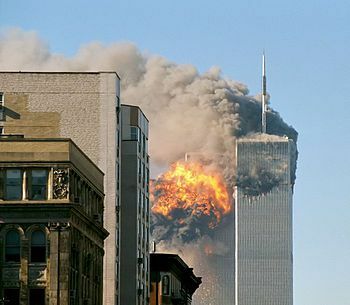 For example, a scientist might be able to recreate the flying of jet aircraft into skyscrapers and demonstrate that a plane can cause a building to collapse. That does not tell us definitively that is what happened on 9-11. When it comes to the resurrection of Jesus, we are talking about what is claimed to be a unique event. It cannot be replicated. It is an event that is not subject scientific inquiry and cannot be proven by science. This is why the philosophical questions about God and miracles must come before considering the evidence for the resurrection. For the person who assumes that there is no God or that miracles do not happen, the resurrection is a heart-warming but preposterous fable. If a person believes that resurrections are not possible, then no amount of evidence will convince him otherwise. However, his assumptions are usually made without a great deal of thought. Christians are often asked to "prove God exists". There are any number of philosophical proofs that can advanced, but it is perhaps even more important to ask the atheist to prove that God does not exist. Because he cannot. Believe in evolution does not prove that God does not exist. The existence of evil does not prove that God does not exist. The fact that the church might have taught something later proven to be untrue does not prove that God does not exist. The fact that the atheist has never encountered God does not prove that God does not exist. Pushed into a corner, the best the atheist can offer is that it is the way that "modern" people think. But that doesn't prove anything either. It is much more intellectually astute to grant the smallest possibility that God might exist and that he might act in the world in a way that disrupts the natural order. That is, there is the smallest of possibilities that God exists and that miracles could happen. It is wise to be skeptical. But it is also wise to remember that a miracle is one possible explanation for the historical evidence. 1. Detailed accounts of the death of Jesus and the discovery of the empty tomb. Because the Bible is bound into a single book, it is easy to forget that it is really a collection of books. For of these books, Matthew, Mark, Luke, and John, all contain accounts of the death and resurrection of Jesus. These records were written by eyewitnesses or were carefully researched. They provide detailed testimony of what people experienced and contain enough similarities to be certain that they are describing the same events. At the same time, they provide enough variation that it is clear that the accounts were not the creation of a group of people trying to pull off a giant hoax. All of the historical evidence points to the fact that the tomb of Jesus was empty. This fact is even granted by the enemies of Jesus and is found in non-biblical sources as well as in the gospel accounts. The enemies of Jesus would have had ample reason to find the body. If the body was in the tomb, they would have certainly known about it. The enemies of Jesus were well-aware of the claims that Jesus would rise from the dead. Therefore they took incredible precautions to keep some trick from being played by the disciples. They made certain that a Roman guard was posted and that the tomb was sealed with a royal seal. There were severe penalties for breaking a Roman seal. The size of the stone that covered the tomb of Jesus was incredible. Some have estimated that it weighed between 1000 and 2000 kilos. These stones were generally rolled downhill into place and then required enormous effort to remove. The idea that someone snuck into to gravesite and removed a giant stone while it being guarded by Roman soldiers. The historical accounts indicated that the linens wrapped around the body were neatly folded. What grave robber neatly folds grave clothes from a grave being guarded by Roman soldiers? 6. The living Roman soldiers. The penalty for allowing a prisoner to escape was death. How much more the penalty for allowing a dead body to escape! Yet the Roman soldiers who guarded the tomb were not executed, instead were told by their bosses to spread the rumour the disciples had stolen the body. Again, this points to the fact that the enemies of Jesus admit that the grave was empty. There are more facts that need to be accounted for. But given just these facts, what historical event can best account for them? 1. It is all a myth. This is a common argument advanced by those who have not really looked at the evidence. Legends and myths do exist, but they take many years to evolve and take shape. We have written texts of the gospels dating to the lifetime of the writers. There simply was no time for a myth or legend to form. In addition, the writers of the gospels were executed for their faith. While many will die for what they believe in, few people will die for what they know to be false. Yet not one of the eyewitnesses recanted their testimony even under the pain of torture and death. This theory states that Jesus was not dead when placed in the tomb and that after three days he had recovered. This theory does not hold up under scrutiny. Even before the crucifixion, Jesus had been tortured and was incredibly weak. Crucifixion frequently dislocates both shoulders and the nails driven through the wrists and feet would have required immediate medical attention. A spear had been thrust into him. The Roman soldiers who crucified him were professional executioners. They knew death when they saw it. But even if they were mistaken, how plausible is it that Jesus, locked in a completely dark tomb without water for three days, could have recovered enough to roll away the stone? This theory accounts or the empty tomb. But it does not account for the Roman soldiers being allowed to live. Nor does it explain how the disciples gained enough courage to steal the body. Nor does it account that not a single disciple admitted to the hoax even when being tortured or executed for their faith. The most plausible explanation for the evidence is that something supernatural happened. The best and most satisfying theory is that Jesus Christ was raised from the dead by the power of God. The implications of that are breathtaking.